"The Dying Day of Lois & Lana!" "A Night in the Life of Bruce (Superman) Wayne!" Today we're going to follow up on the events of Superman #362. You remember... that's the one where Lois and Lana were exposed to the same bio-nano-bacterial whooziwatzits that claimed ol' Eben and Sara... er, that is, Ma and Pa Kent. It was only thanks to Lois and Lana being in the prime of their lives that they survived the effects this long... now, we must ask... can they make it another issue? Before we head in to our spoilery-synopsis, I wanna congratulate C.B. Cebulski on his promotion to Marvel Editor-in-Chief. A few more decisions like this, and I might just have to start buyin' from them again! We open with a few pages of recap... which, we don't need to go terribly deep into. 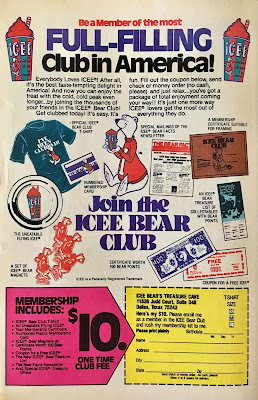 For the full deal, just click here... if you just want the quick and dirty... well, Lana's archaeologist father found some ancient knick-knacks... one of which (a vial), Lana drops. From it sprung a puff of nasty microbes... which infected the LLs. Clark did some studying... and realized it was the same gunk that killed his folks. Now that we're up to date... we join Clark and Lana as they deliver a televised news report chatting up the elder Lang's discoveries. 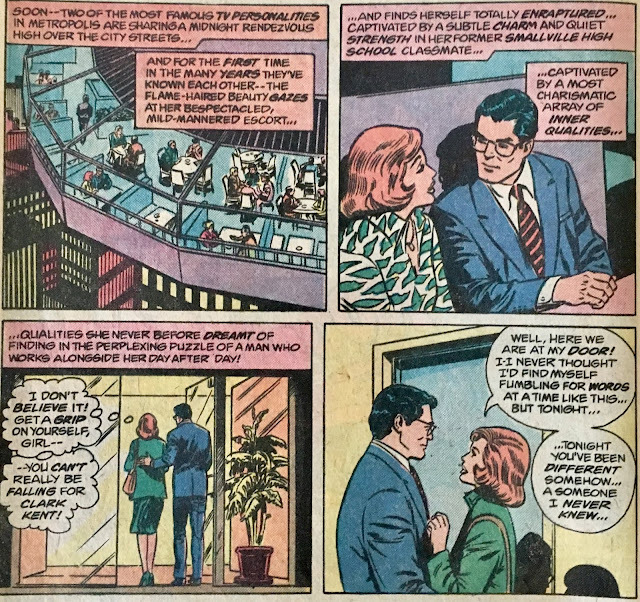 Lana notices that Clark's mind is elsewhere, and asks him what's up. 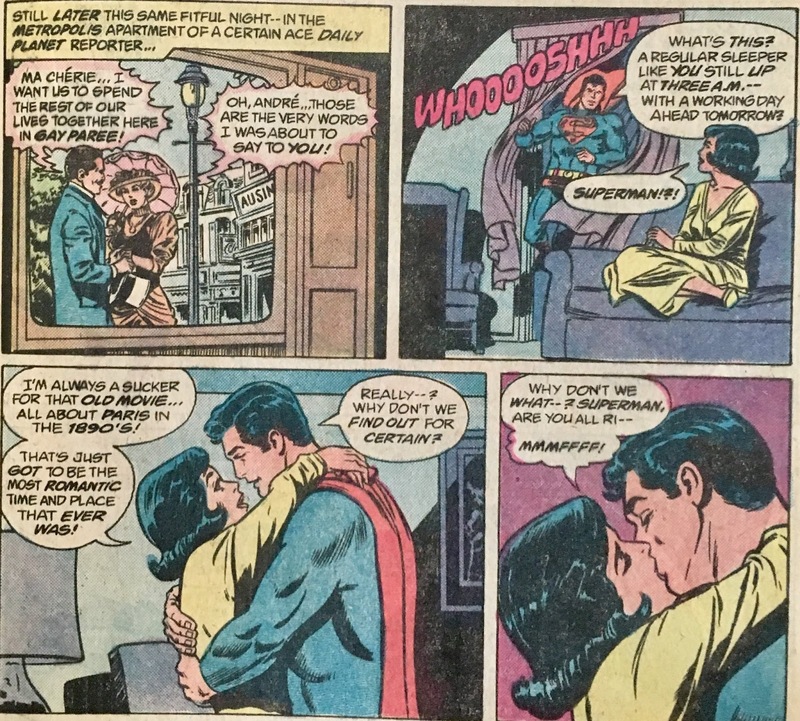 He brushes her off... like he always seems to do, before rushing off to the Fortress of Solitude. 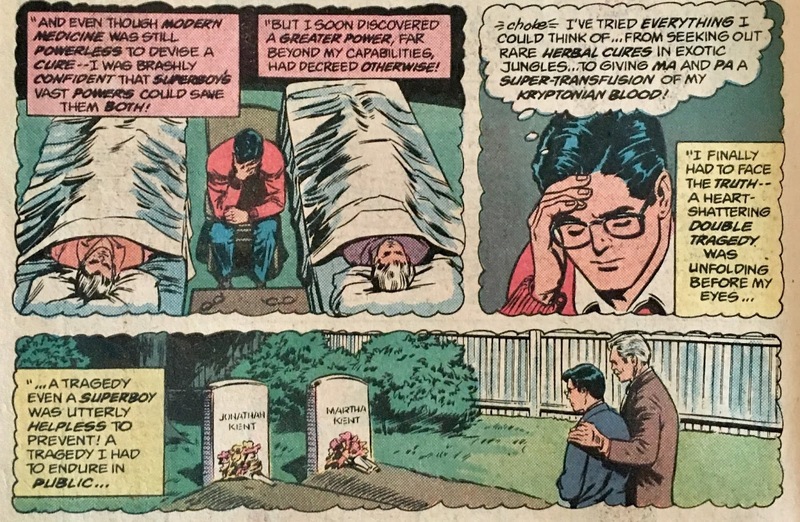 As a last-ditch effort, he decides that he'll simply send Lois and Lana to the Phantom Zone for awhile, giving him more time to hunt down a cure. When he fires up the projector... it surprisingly, goes boom! 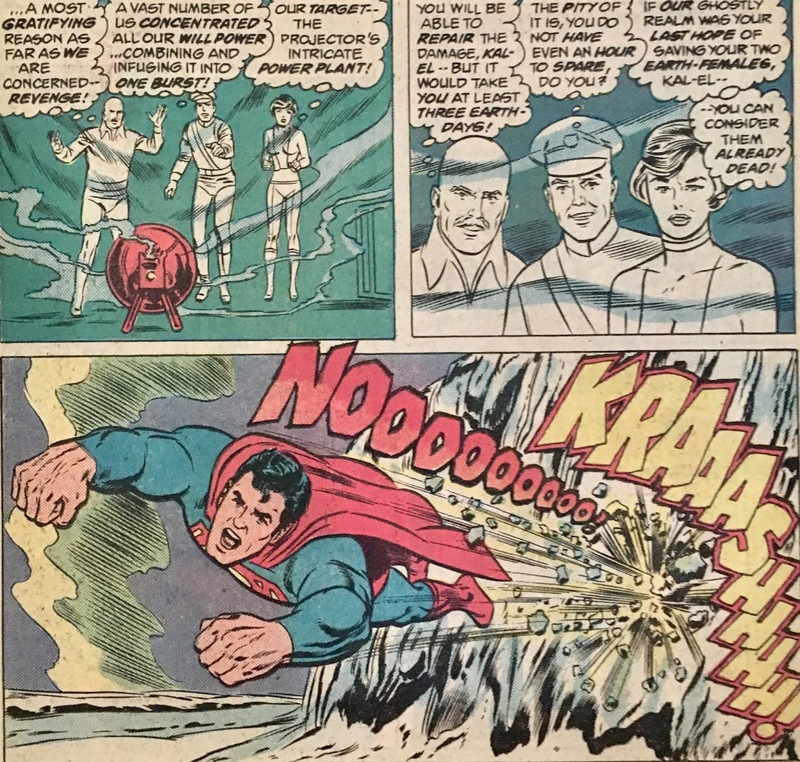 Turns out, the Phantom Zone Criminal Trio have been watching this entire thing go down... and decided they'd concentrate their willpower to blow up the Projector... something I didn't know they could do from "the inside", but I guess we'll allow it. 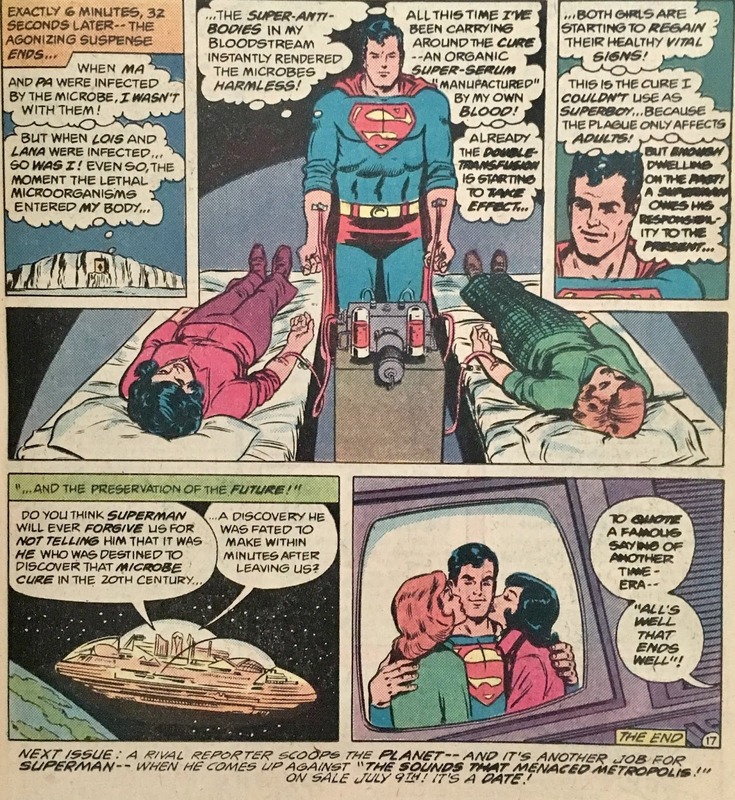 They did this, of course, so that Superman's plan would go toes up... and so hours later, so would Lois and Lana! Clark returns to Metropolis... and, feeling as though he has no other tricks up his sleeve, takes Lana out for one final date. Ms. Lang can tell that he's acting a bit different than usual...but he plays it close to the vest. 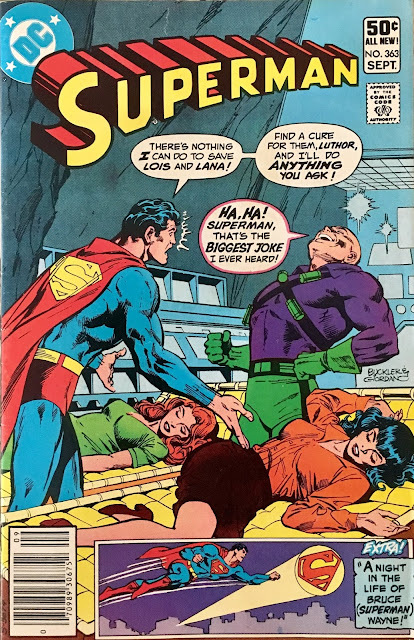 After dropping her off, he decides to turn to the one man who might be able to help him out... in case the cover didn't spoil it for you, it's Lex Luthor! As he approaches the State Penitentiary, he catches a pair of would-be escapees to boot! Lex examines the vial... and thinks on it. Yeah, he could come up with a cure... but, would he? Well, short answer... no. He even goes so far as to fling the vial across the cell. 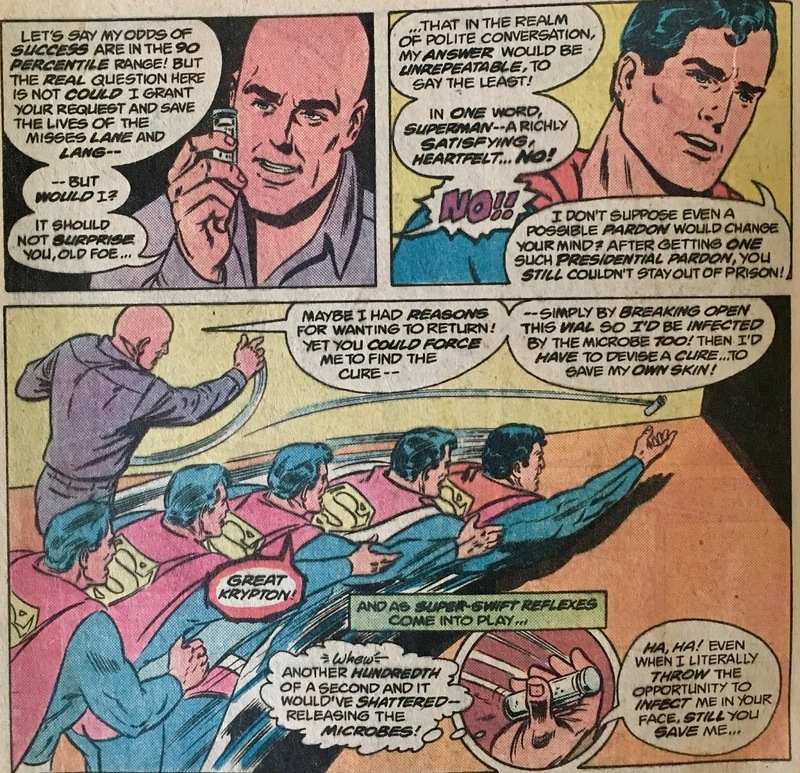 Superman catches it... even though, had he allowed it to shatter, Luthor himself would've been infected... and, duh... he'd have no choice but to concoct a cure. Feeling as though he's completely licked... Superman visits with Lois Lane, to take her on a final date she'll never forget. Well, considering she's going to die within 24-hours, that might be faint praise. He catches her watching a romance flick from the 1930's that takes place in Paris (we can tell because the on-screen dialogue refers to the city as "gay Paree"). 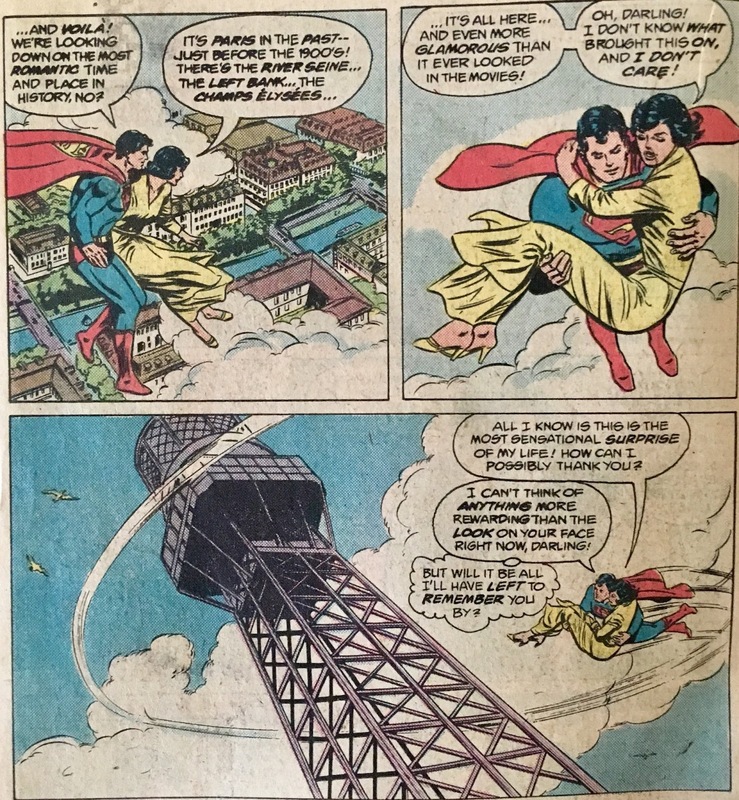 Superman takes Lois in his arms, and does that super-spin thing. This allows the pair to travel back in time to 1930's Paris. The next day, the WGBS staffers are concerned when Lois, Lana, and Clark don't show up to work. Turns out that Superman has another plan. 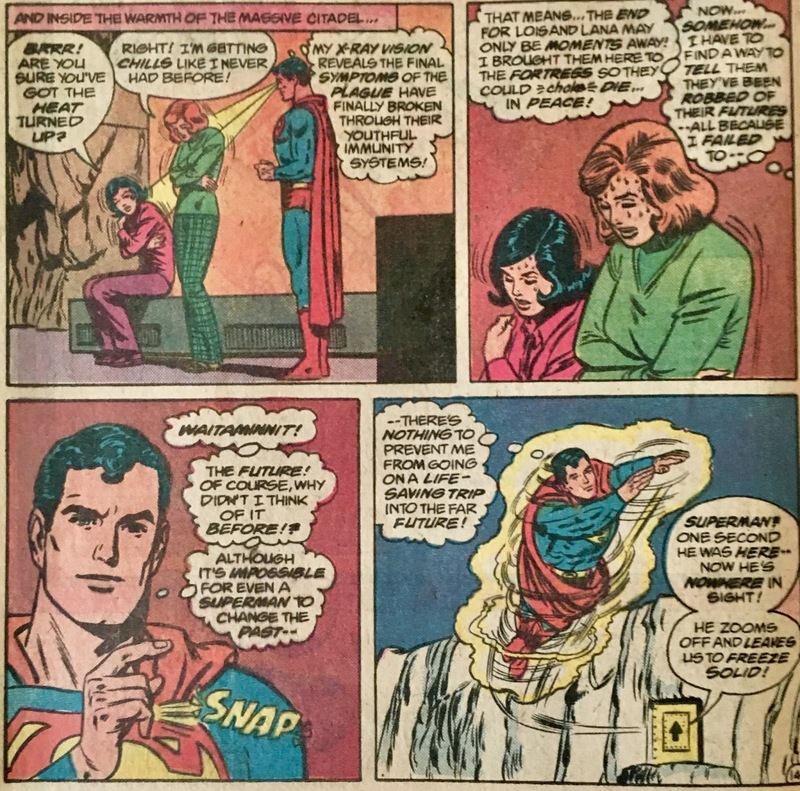 He takes the ladies to the Fortress of Solitude so they can... die in peace. Well, that doesn't sound like much of a plan. As the gals intermittently sweat and shiver, Superman actually does think up a plan. Well... if he could travel into the past... why not try the future? Ya know, like he does all the time! Quick as a cricket, Superman arrives in the 88th Century... where he immediately destroys a meteor heading straight toward "Floating Metropolis". Turns out that this was a bit of an error. The future Metropolitans... where everybody is bald (maybe Lex does eventually have his day! ), they advise Superman that they were pulling that meteor in to mine its minerals. With that bit of nonsense out of the way, Superman asks the chrome-dome trio about curing the microbe disease. They tell him they're not allowed to interfere in the past... ya know, nothing we haven't heard before. They do, however, inform him that a cure is coming... and soon! He heads back to the present... and suddenly it comes to him! He attempted to give a blood transfusion to his parents while they lay dying... however, his blood was never infected... which means, his Kryptonian blood never created the necessary antibodies to cure the disease. 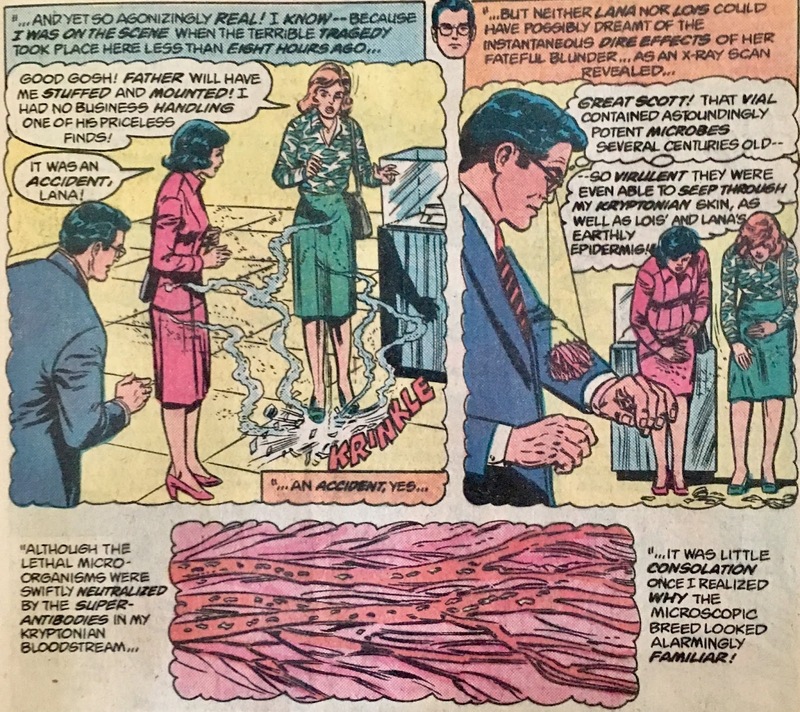 Sooo... he recalls that the microbes got "under his skin" last issue... and so, now it should stand to reason that his blood could heal the ladies. And whattayaknow... it does! Our Bronze-Age-ish Superman experience tells us... we're not done yet! We've got ourselves a wacky backup... this time starring, Superman: Bruce Wayne? 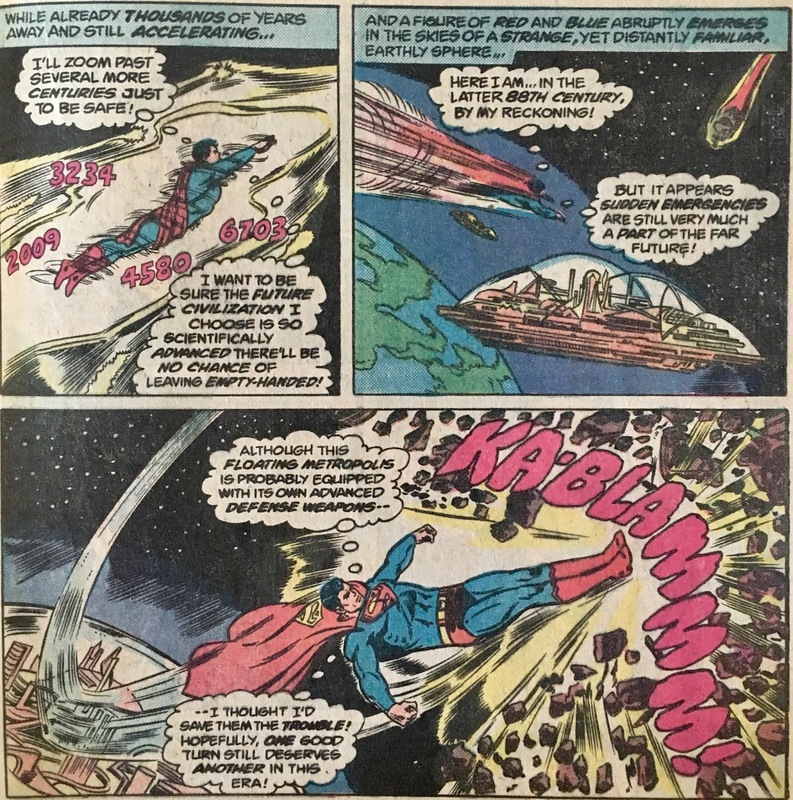 Well, if we stop and "just imagine" for a moment... let's say Kal-El's ship crashes in... Gotham City? The Waynes adopt the boy, and name him Bruce (which, I would assume... means the real Bruce was never born... but what do I know?). 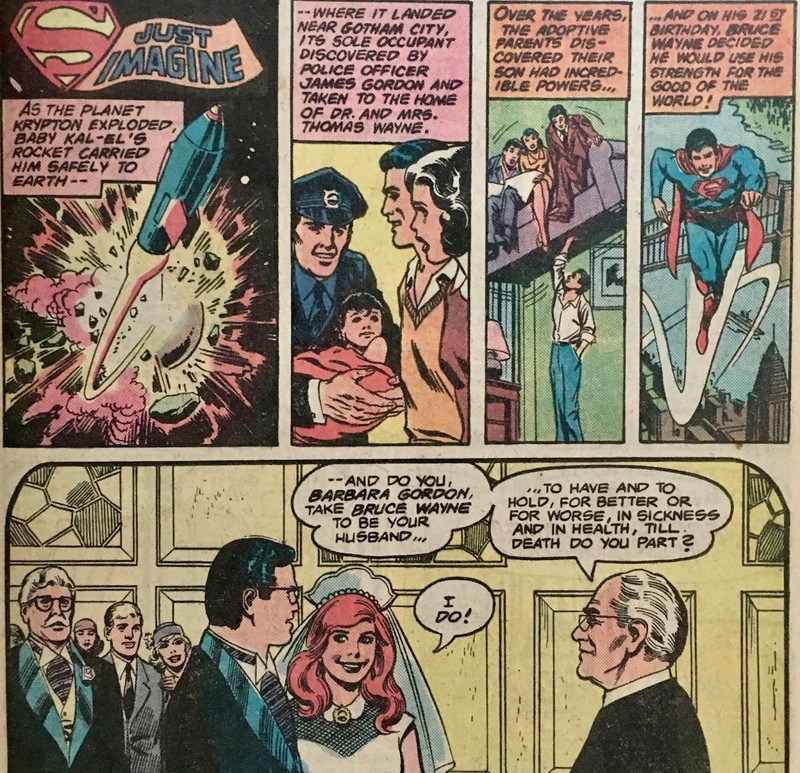 Bruce grows up, becomes Superman, and eventually marries... Barbara Gordon? After the wedding... Bruce decides to share his Super-secret with his blushing bride... annnnnd, she's not all that happy. She pleads with him to consider dedicating his brilliant mind to things like science. 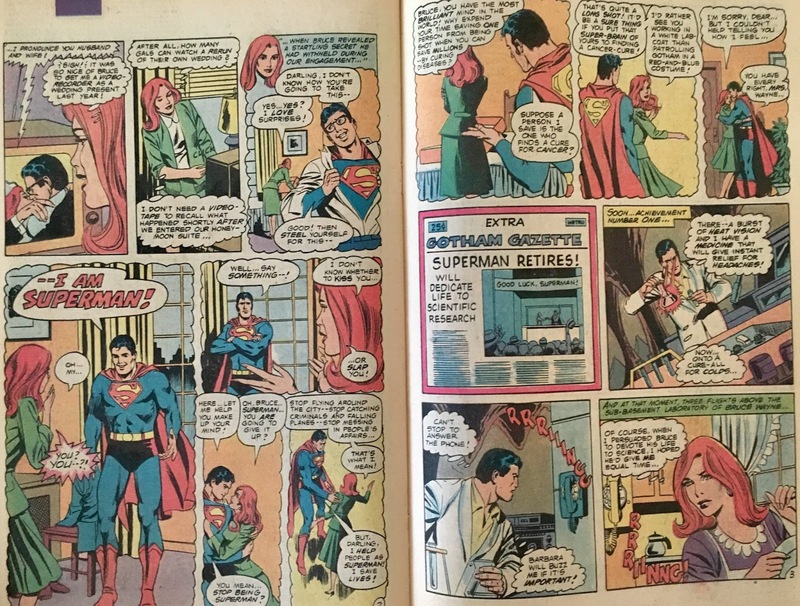 She tells him that being Superman, he can only save one-life at a time (yeah, I know...), but as a scientist, he could cure diseases... feed the poor... all'at. And so, he retires! 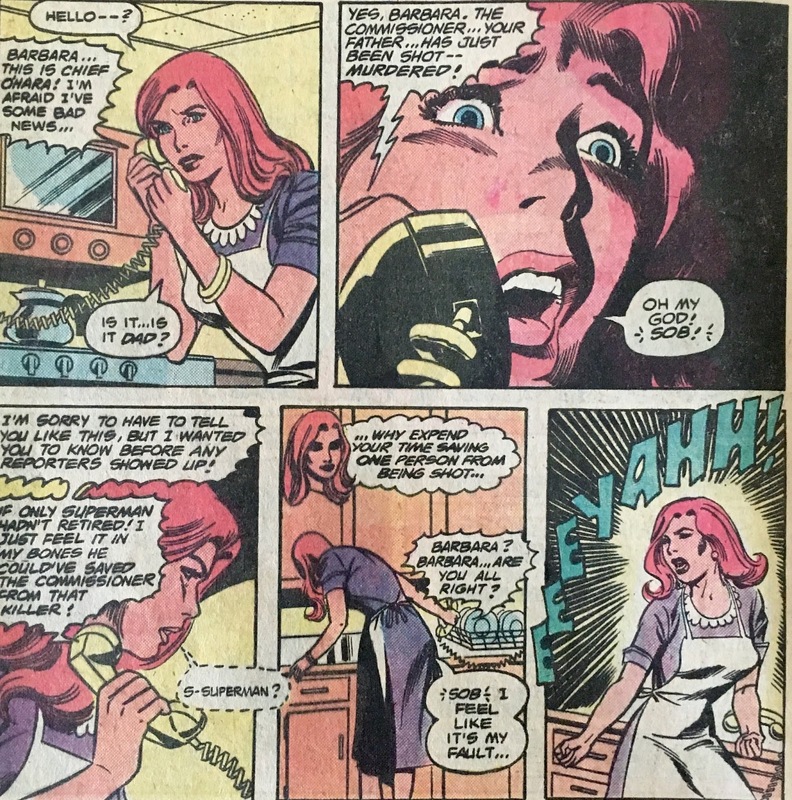 Some time passes, and we rejoin the Waynes as Barbara receives a phone call. It's Chief O'Hara with the news that her father, the Commissioner, was shot dead! He even says, "If only Superman hadn't retired!". Wow... talk about a super-guilt trip, right? Bruce hears Barbara cry out and rushes to her side. 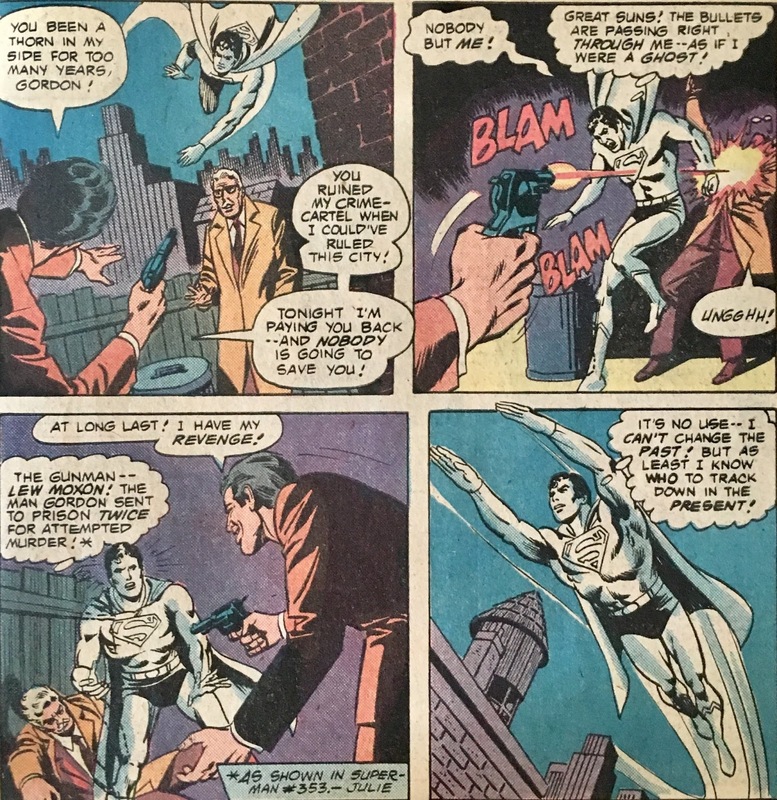 She spills the beans, and he decides to not only readopt his super-identity... but also go back to the past to stop the Commish from getting shot! More time travel? Ay yai yai. 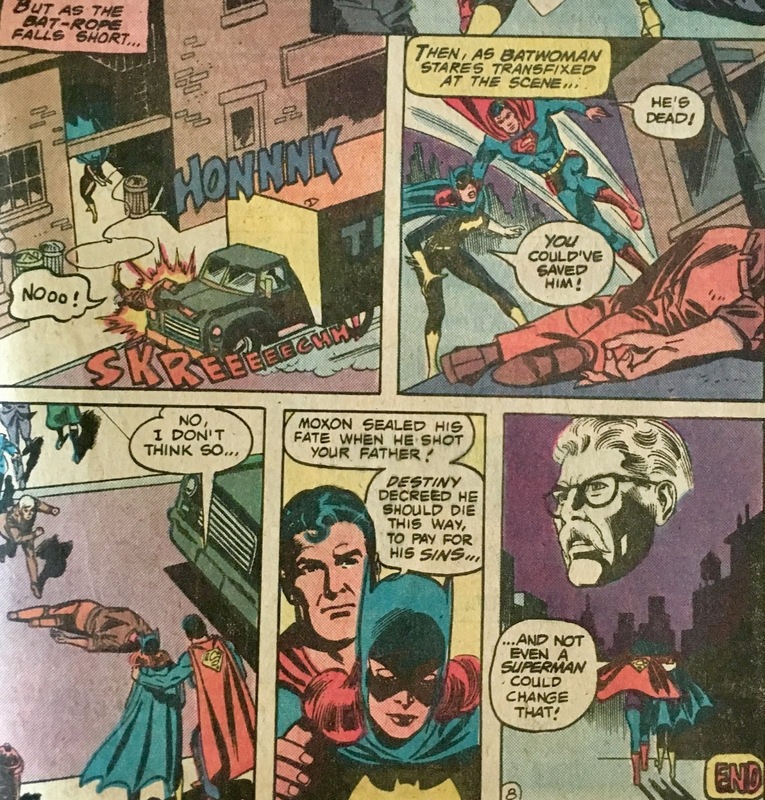 Anyhoo, back in the past... Jim Gordon still gets shot. 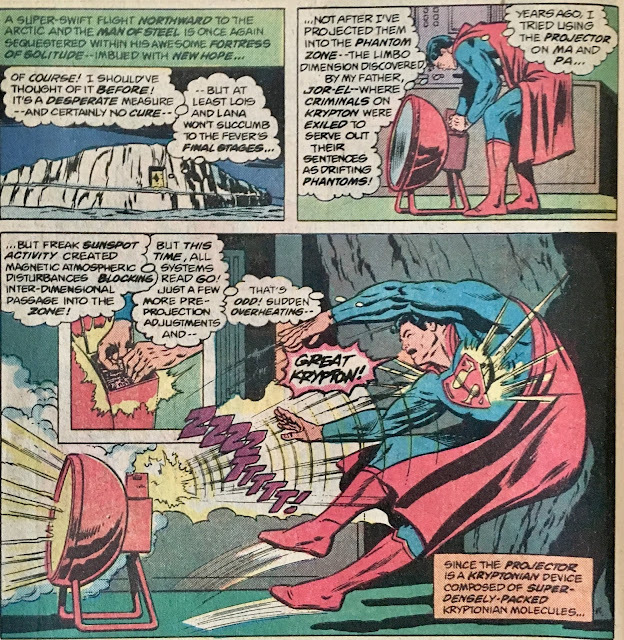 The bullet passes right through Superman, as though he were a phantom. He does learn, however, that the murderer was Lew Moxon. Returning to the present, Superman tells Barbara what just occurred... and promises to track down Moxon. 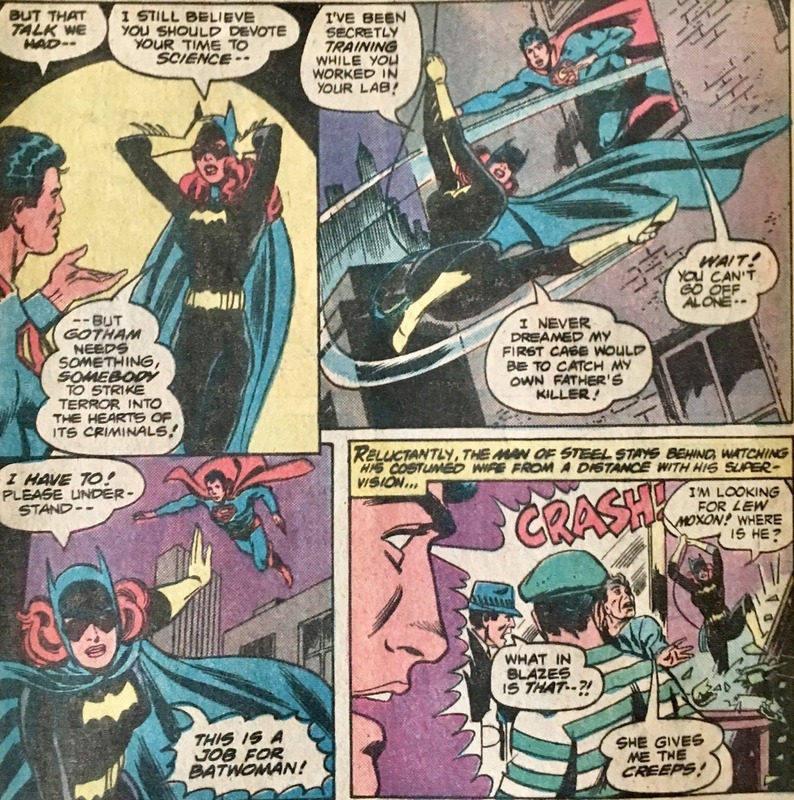 She's all... not so fast, kemo sabe, and proceeds to dig in her closet... producing her Batgirlwoman costume. Together, they track down Moxon... and chase him right into the path of a moving truck. Lew gets squished... Babs feels guilty... but Superman assures her that this was all in cards for ol' Lew. Sure, it's all a bit convenient... it's all a bit clean, but enjoyable none the less. The wife and I recently watched this miniseries on cable called The Sinner. It was... okay... but it was a mystery program where, without fail, every single clue led directly to the next. There were no dead-ends, no wild goose chases... the entire thing was a ridiculously convenient linear breadcrumb trail from start to finish. That's kinda what we get here. One thing leads neatly to the next... and at the end of the day, everyone goes home happy. Not the worst thing in the world... and actually resulted in a fairly enjoyable story. 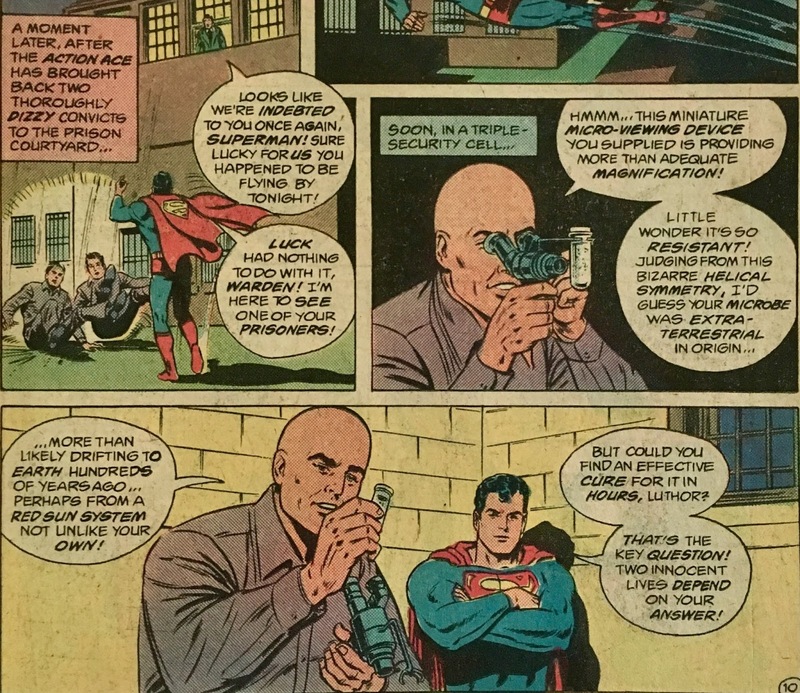 I appreciate that even at his most desperate... Superman wouldn't allow Luthor to infect himself. Even though that would very likely result in a cure being concocted... he still couldn't risk his arch-enemy's life to do so. That really rings true as "Superman" to me. Of course, we'll have to ignore the potential lives risked due to all of his mucking about in the timestream... but, c'mon. The time-travel stuff always kinda rubs me wrong. I mean, now that he has "the cure", why not go back to give a super-transfusion to Ma and Pa? Anytime we play fast and loose with the timestream... ehh, I kinda de-invest. Thankfully, the time-travel aspect wasn't the main focus of our resolution here. Then... there's that back-up. 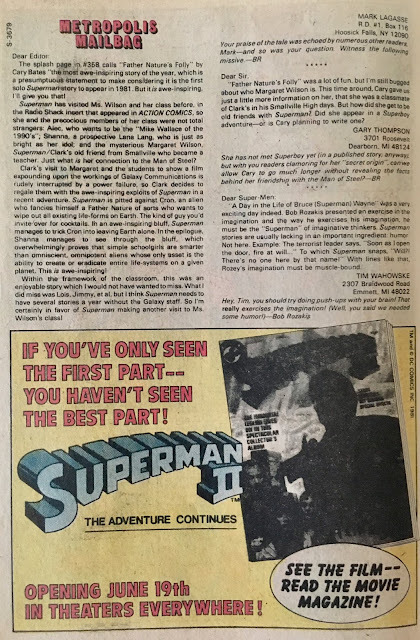 Wow, there are like no rules when it comes to Superman backups. So weird... but also so fun. Full disclosure... I have a hard time investing in Elseworlds stories. Knowing that, at the end of the day, they don't matter... because they "never happened" really hinders my level of interest. Plus, it feels like anytime I read one, half of the book is predicated on establishing and qualifying the setting as "real". To me, this leaves us with a rushed story... with little in the way of consequence. 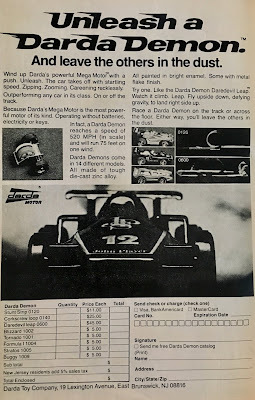 Here... we get a single-page to introduce the concept... and from there, we're off to the races! I can get on board with that. The story is... rightly silly... also, pretty convenient. 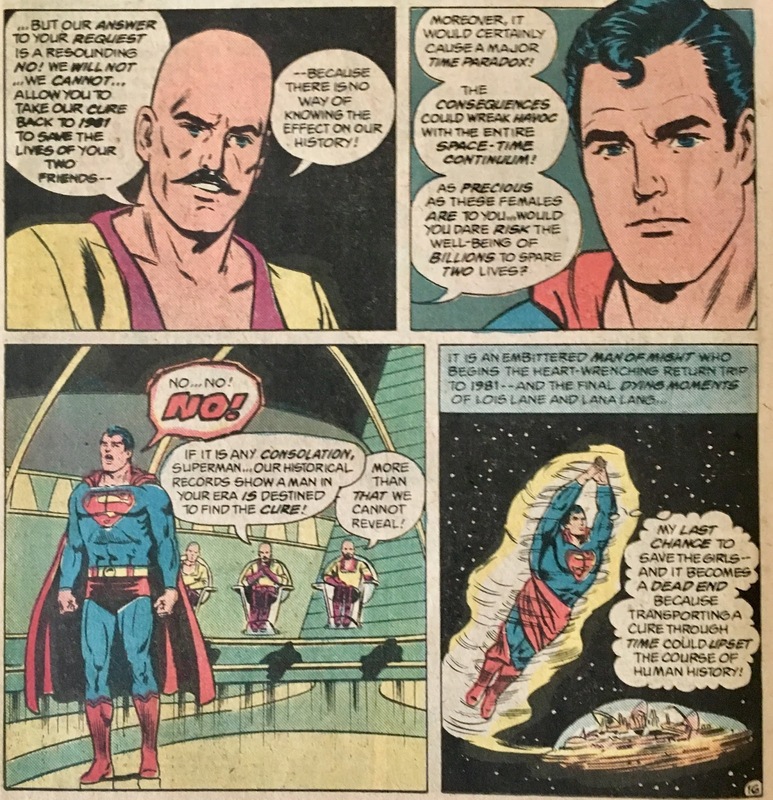 I did kinda roll my eyes when Superman used time-travel again... but I was pleased when it didn't quite work the way he had hoped. Overall though... fun was had. In sum... this was a good time! 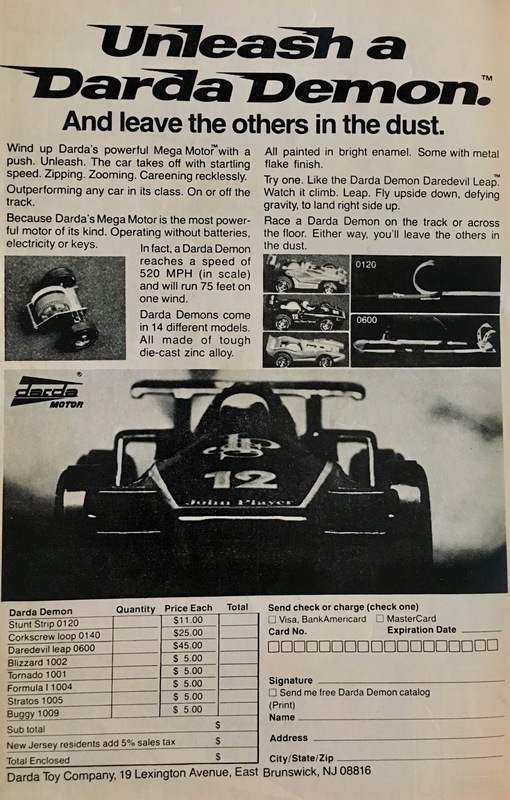 Being as though this hit shelves long before "writing for the trade" was a thing, you don't even really need to read the previous issue before diving in to this one. The first few pages give a pretty thorough synopsis of what came before. The back-up story was also quite fun... and makes for a neat little package to check out.